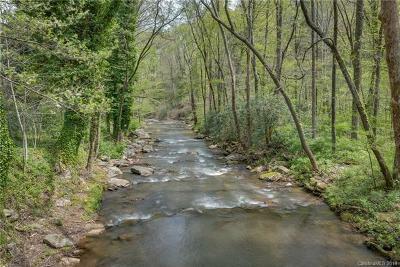 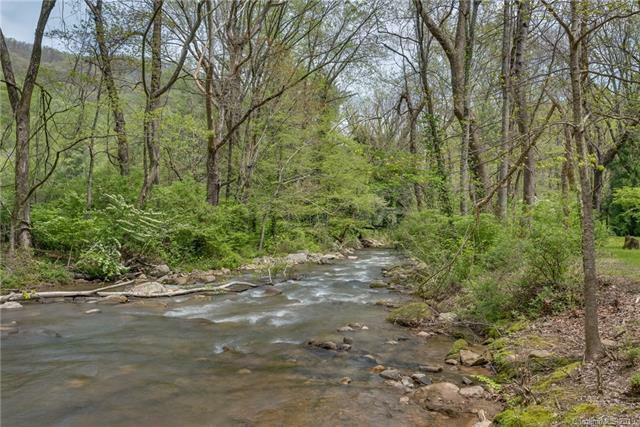 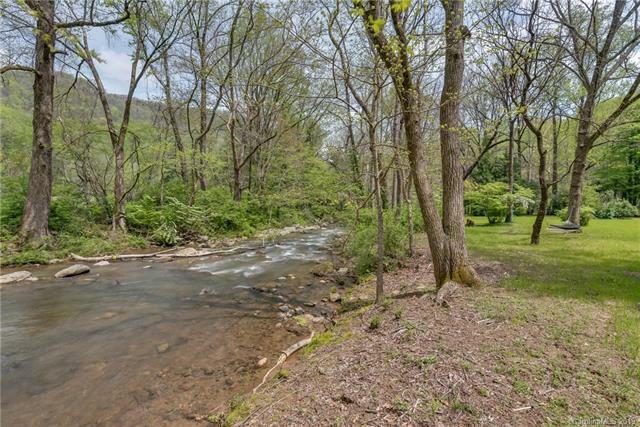 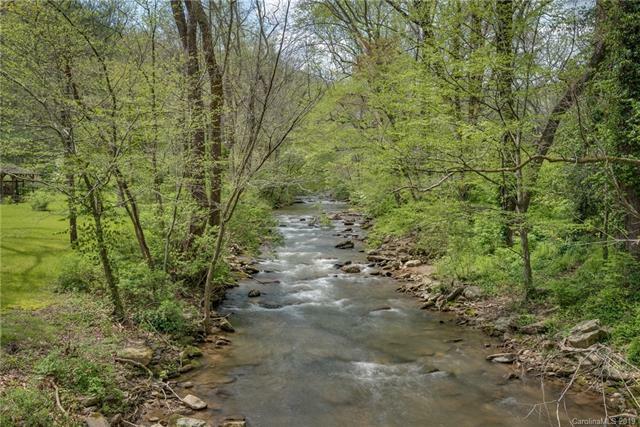 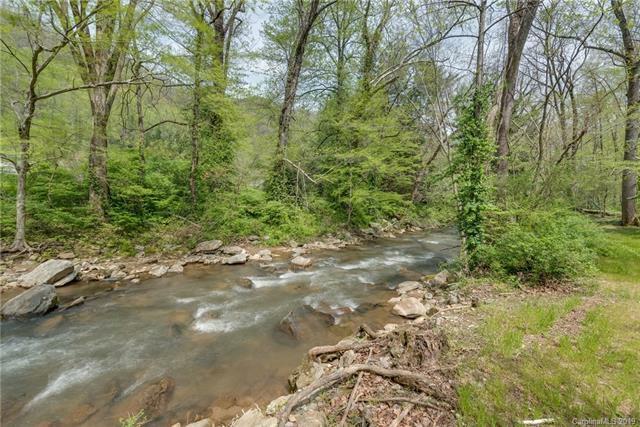 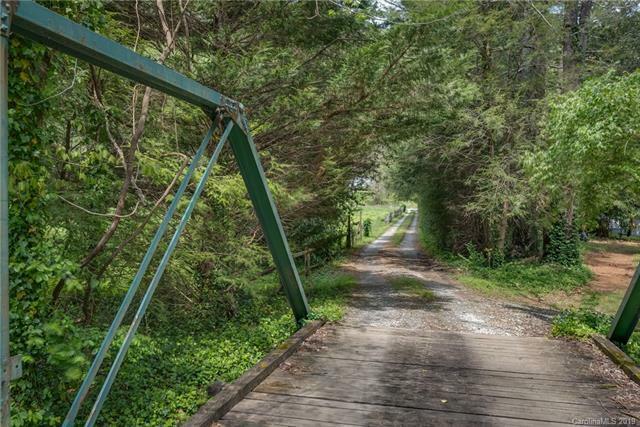 Drive down a private lane and cross over the river to enter this picturesque property with bold river frontage & mountain views. 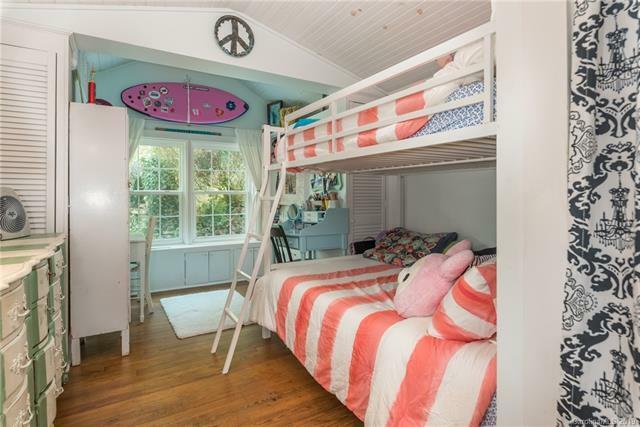 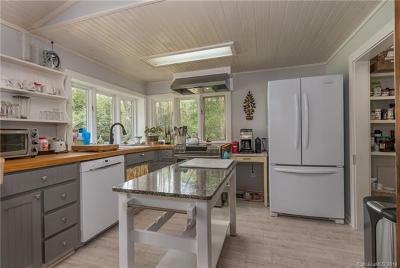 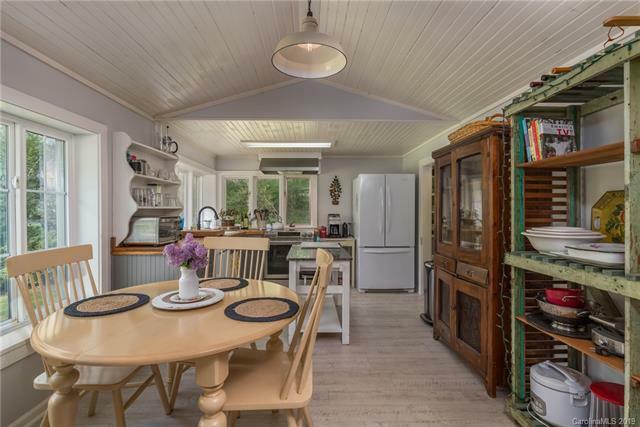 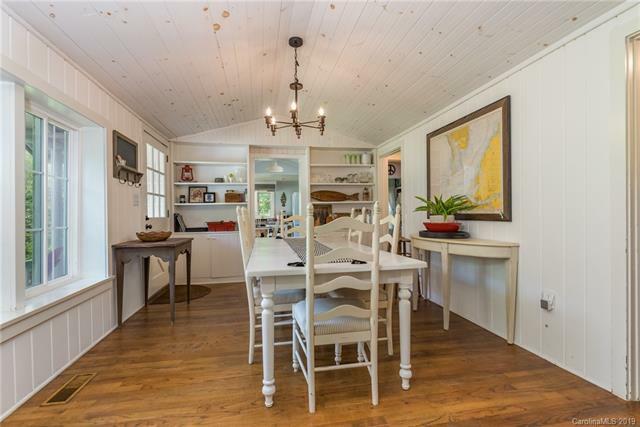 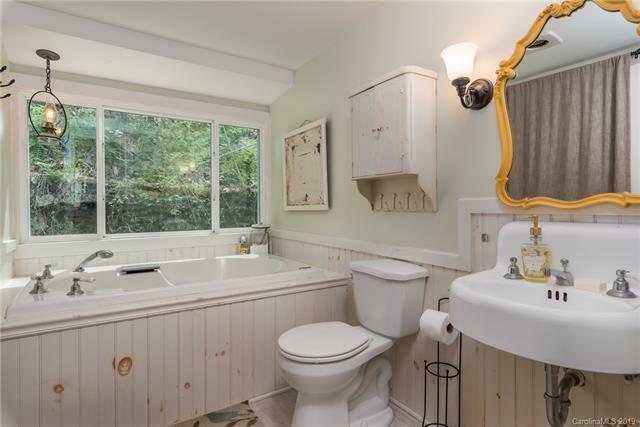 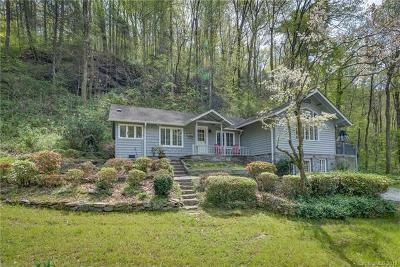 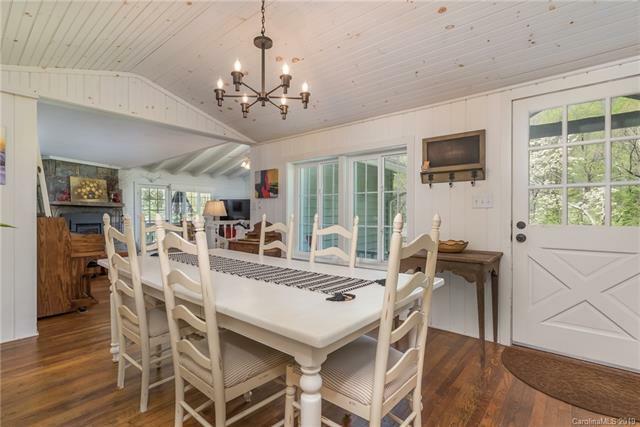 Unique Cottage style home features vintage charm, original wood paneling, vaulted ceilings & hardwood floors. 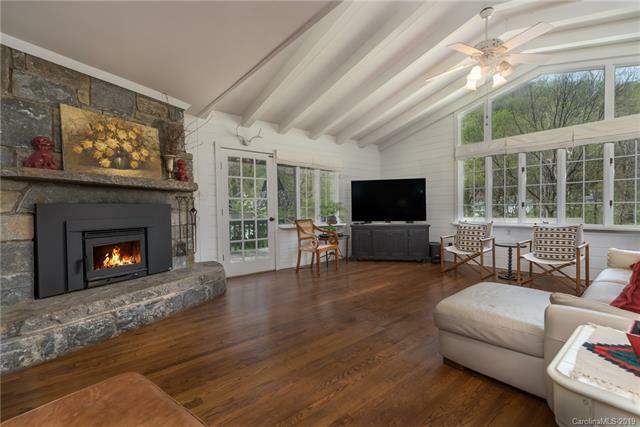 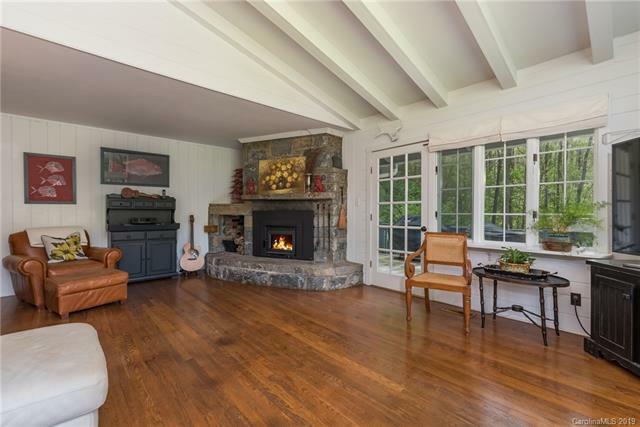 Beautiful large living room w/stone fireplace, wood stove & lg. 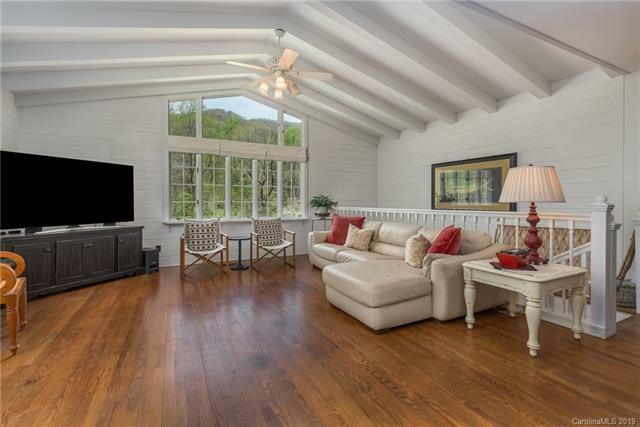 windows with mountain & valley views. 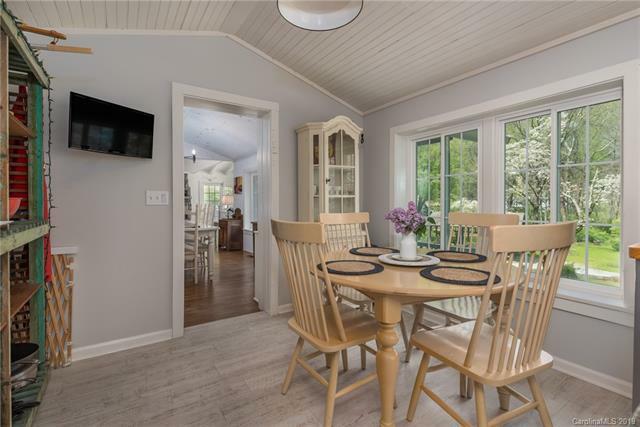 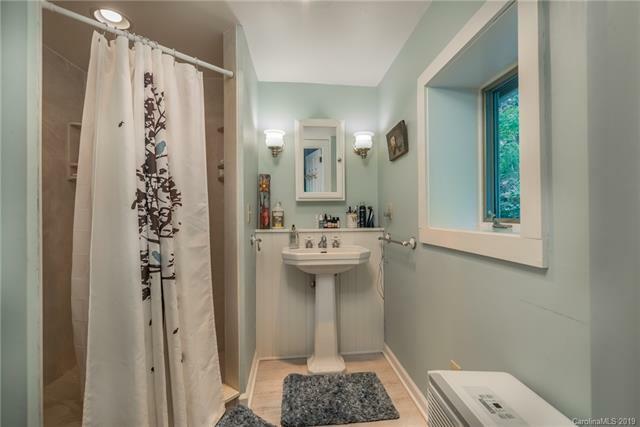 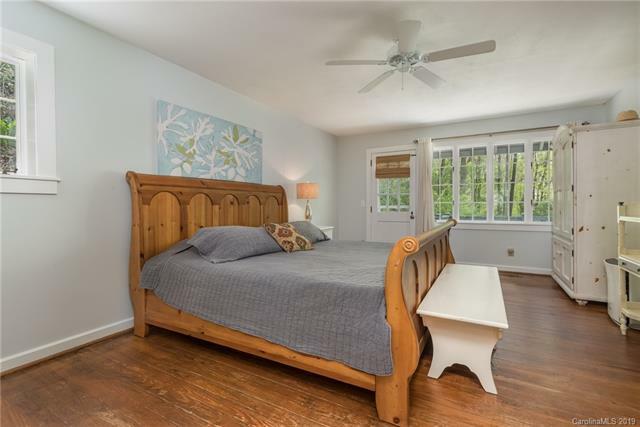 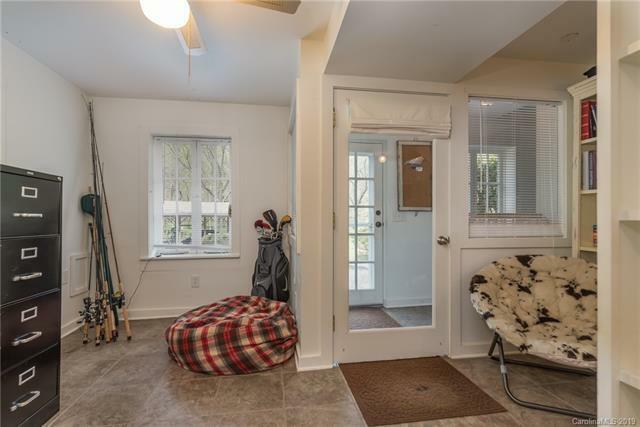 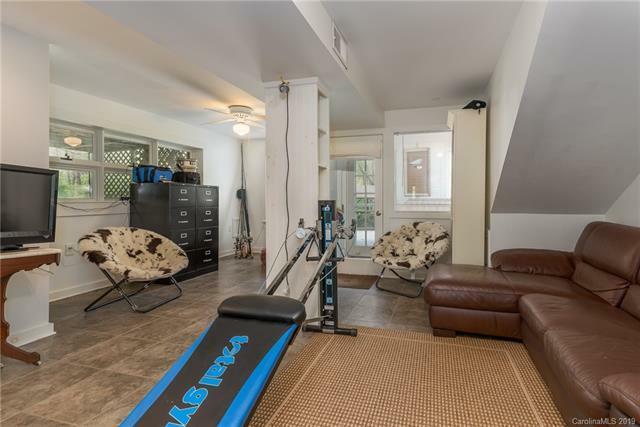 Bright updated kitchen and cozy dining room w/built-ins & breakfast nook, MBR w/en-suite bath & access to deck, 2nd bedroom & large bath on main level. 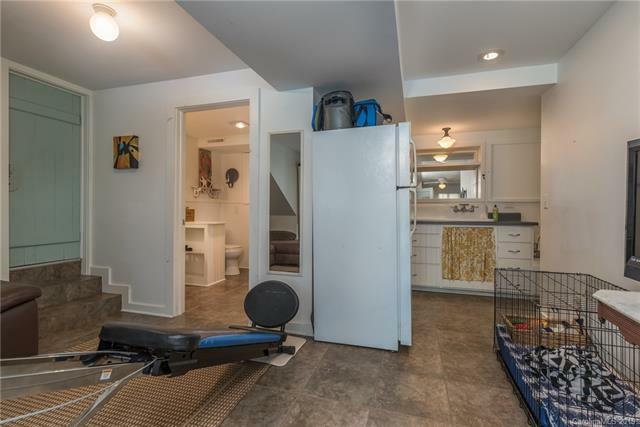 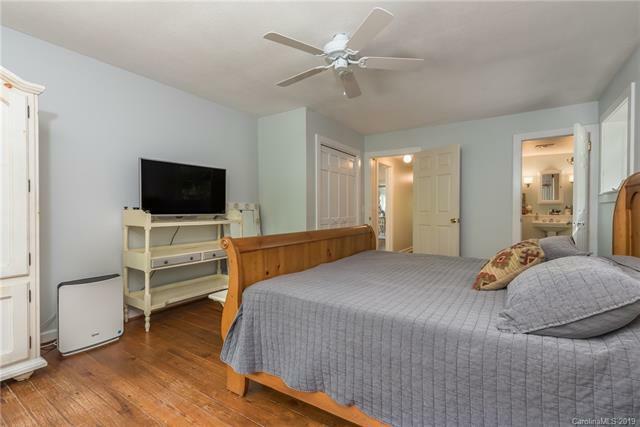 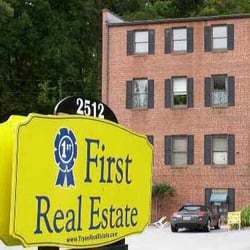 Versatile lower level offers 3rd BR, full bath & kitchenette; could be separate apartment, guest quarters or in-law suite. 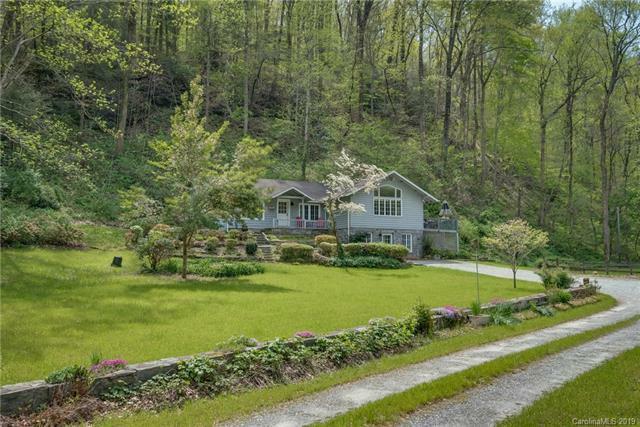 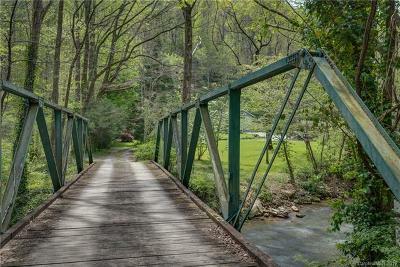 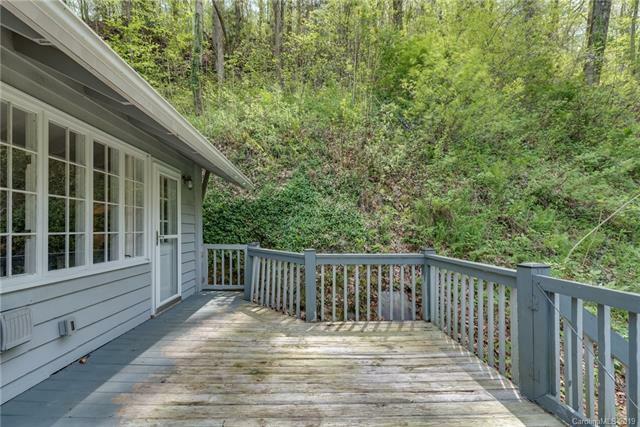 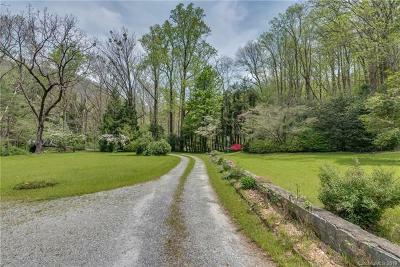 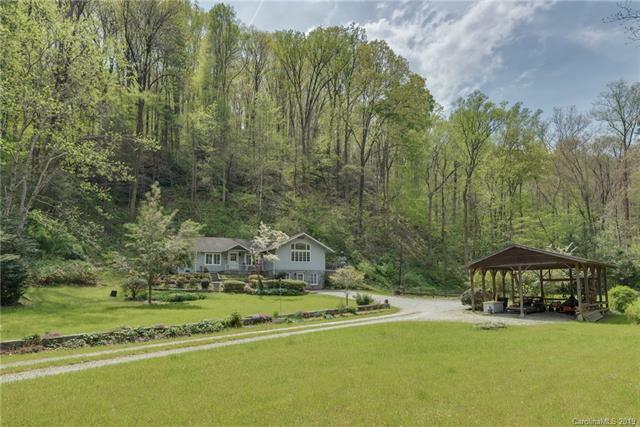 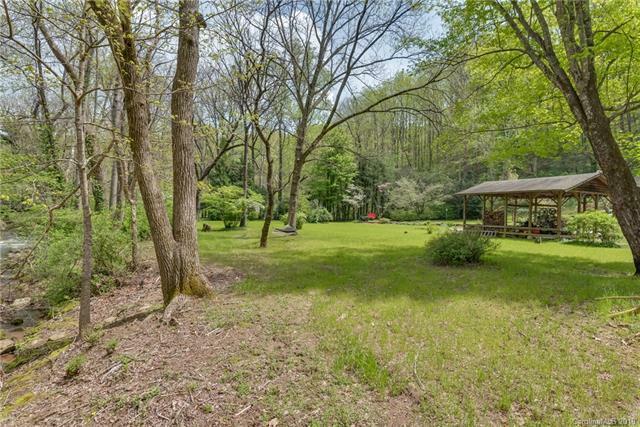 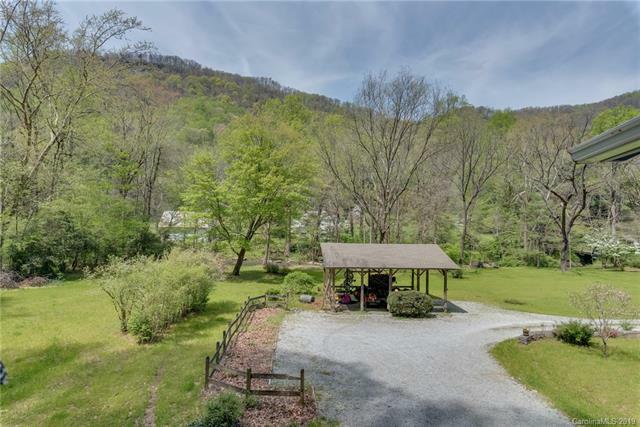 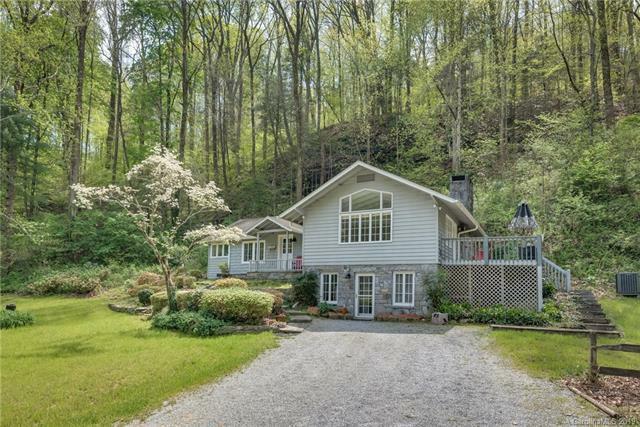 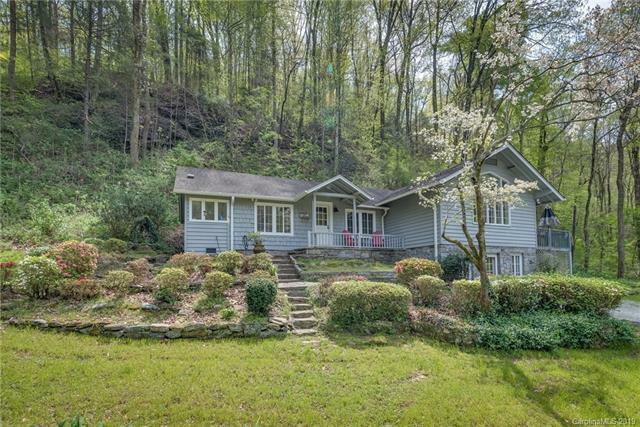 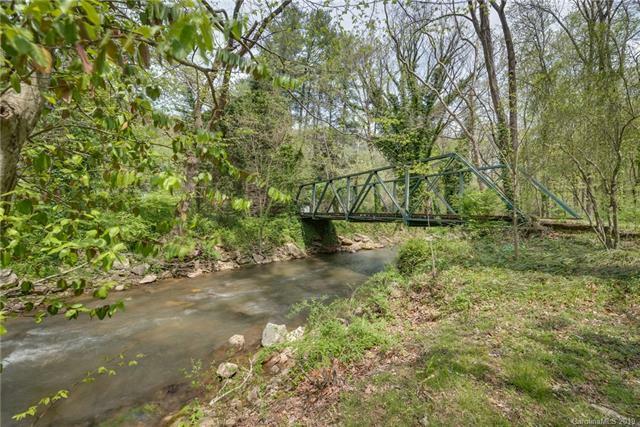 Situated on 7.87 acres, this very special property offers natures beauty and privacy yet is only a few minutes to the village of Tryon.